Sometimes there is just something about a name that draws you to it. Autus Website Design & Marketing are justly proud to be associated with the international Laboratory of Expertise, Innovation and Analysis and are proud to unveil the new LEIA website at leilabs.co.uk. 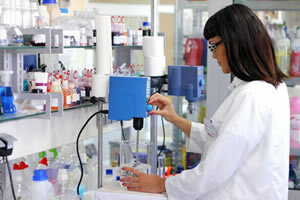 The Laboratory of Expertise, Innovation and Analyis are a UK company with an international reputation and an international client base. LEIA is dedicated to the field of fire fighting, specialising in the testing and development of fire fighting chemicals, equipment and fire fighting techniques. Our team of skilled chemists and engineers assist industry in the testing and analysis of a wide range of fire fighting chemicals and chemical delivery equipment. LEIA clients include fire fighting foam and fire extinguisher equipment manufacturers based in Europe, Asia and North Africa. Analysis Checking the quality of foam concentrates in accordance with international standards. Normative tests Undertaking fire tests to evaluate the ranking and compliance of products against industry standards; including EN3, EN-1568, ICAO, ISO 7203. Critical tests Design and formulation of foam concentrates to tackle special fire risks: solvents, chemicals, reactive mediums and completing the required tests to confirm performance levels. Compatibility With Equipment Testing the controlled use of a foam solutions or concentrate products with any foam delivery equipment. For more information on how the Laboratory of Expertise, Innovation and Analysis can help you develop effective, compliant and internationally recognised products visit the website at leialabs.co.uk. And for expert and innovative solutions to website design and marketing contact Autus on 0161 278 2534.